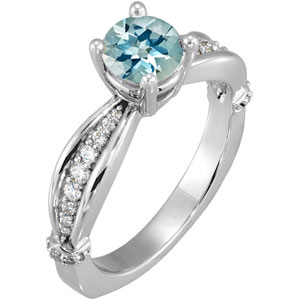 Description A Stylish Colored Engagement Ring! 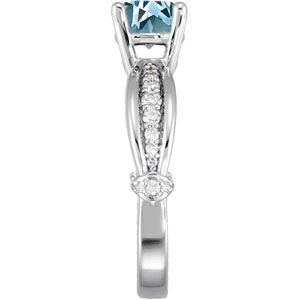 28 Sparkling Diamond Accents are Artfully Placed Along the Band in This Unique Solitaire Engagement Ring. 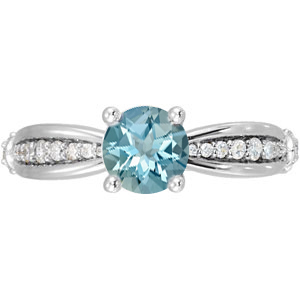 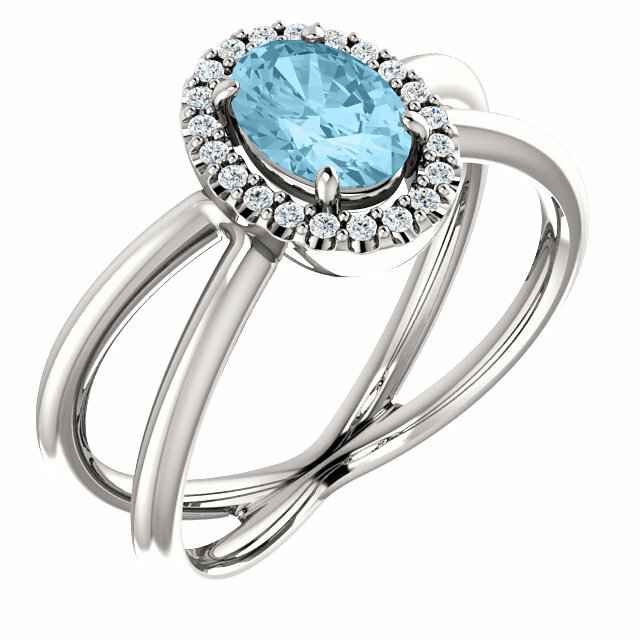 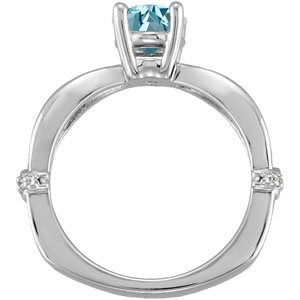 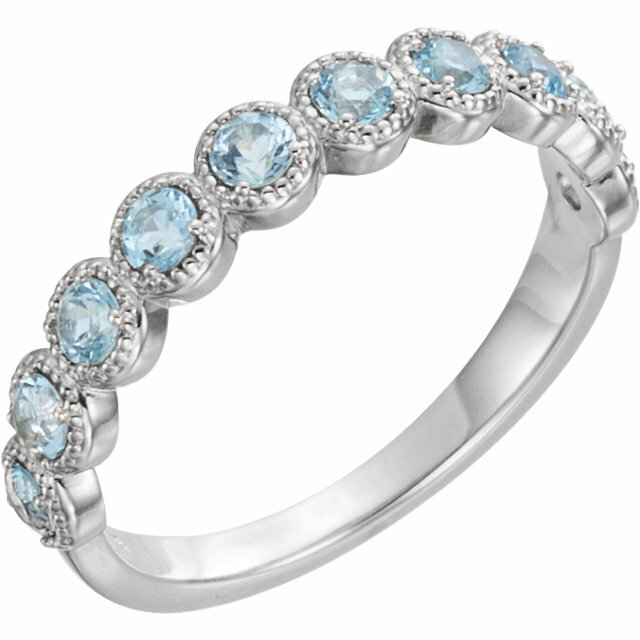 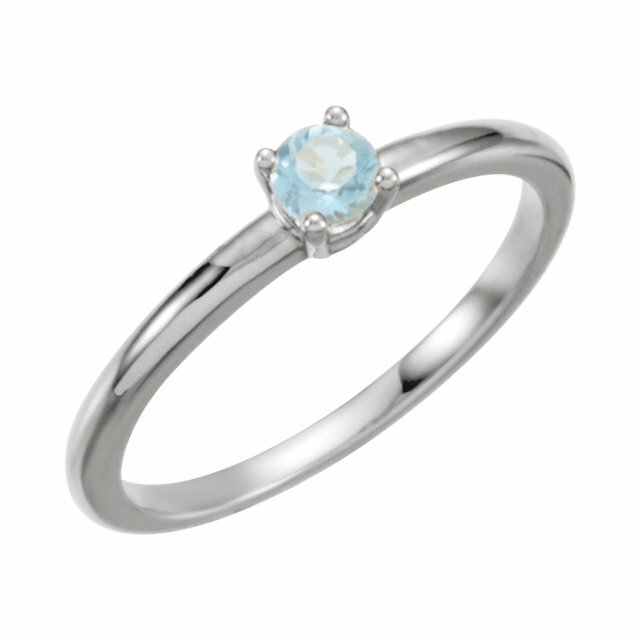 A Stunning Round Aquamarine Gemstone Adds a Color Pop in the Center.